Are you looking for a way to go on a journey Trapster Is The Best Way To Avoid A Ticket While Driving [iOS] Trapster Is The Best Way To Avoid A Ticket While Driving [iOS] Trapster is the iOS app that saves the day for you. It will keep you posted on the hiding places for the police. It offers other cool features that will help you make your driving... Read More without spending all the money it costs to get a plane ticket? 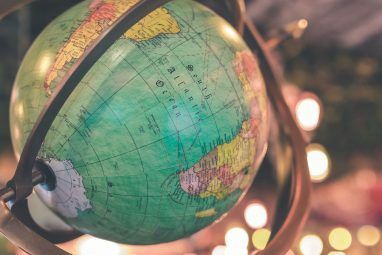 Maybe you just don’t have time to go on a trip, but you still want to see places all around the world. The Earth is a vast and interesting place, and there are so many enticing and exciting things to see. If you just can’t get out to see the world in real life, Google Earth on iPad is as close as you can get. Google Earth is, without question, the best way to explore the world from the comfort of your home. Traveling Always Be Connected: What You Need to Get Internet Anywhere Always Be Connected: What You Need to Get Internet Anywhere We live in a world where we are accustomed to being connected at all times. It's almost impossible to go out without wanting to have Internet. Between email, social networks, settling arguments, and chatting with... Read More is expensive, and the fact is, most of us have lives that prevent us from spending months seeing all the amazing things the world has to offer. Google Earth makes you feel like you are traveling, without the time and expense. 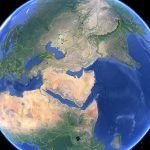 Whether you need to see the Earth for a project, or you are just bored and looking to see some interesting places, Google Earth has you covered. 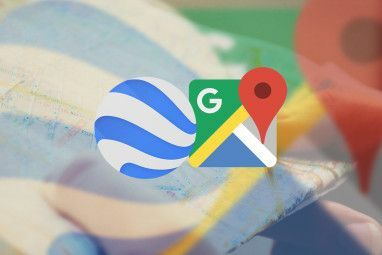 When you launch Google Earth for the first time, the app will guide you through a brief tutorial that will help you get used to navigating around the world with the touch interface. You can skip this at any time, but taking a few seconds to go through it will make using the app a more enjoyable experience, and that is always a good thing. Once you get a feel for navigating around the map in Google Earth, you will probably want to play around for a bit, and look at the cool places you’ve only dreamed of visiting. Area 51? Sure you can check it out. Las Vegas? You can see the strip in all its colorful detail. There is plenty of fun to be had just cruising around the entirety of the Earth from above, but of course, the app does more than allow you to cruise around aimlessly. To really take advantage of the application, you will want to click the “Layers” button on the top left of the screen. In here, you can easily control the kinds of information Google Earth overlays on the map. You can choose to see things like panoramic photos, businesses, places, borders, roads, oceans, and Wikipedia articles. Essentially, anything you want to see on the map is available in Google Earth, which is quite useful as you take your virtual journey. On the bottom of the screen, you will see options for the area at which you are looking. You can see photos, videos, and plenty of other media that relate to the area. All of this cool stuff is tucked in a drawer, so if you don’t want to see it while looking at the map, you can simply slide down over the drawer and it will disappear from view. Personally, I prefer to leave the drawer open, as it allows you to see more about a place than just a satellite image, but it’s always good to have options. As you would expect, you can zoom in as far as you want at any location. The detail is quite impressive, and as long as your Internet is decent, the app zooms and pans incredibly quickly, with little or no loading time. Once zoomed in, you can get a birds-eye view, or you can rotate to an isometric view to get a different feel for the area. While using the app, you can have it jump to your location quickly using the arrow on the top of the screen. Of course, you will have to grant the app permission to get access to your location in order for this to work. The app also has a search bar, so if you don’t feel like scrolling around the Earth to find a certain location, you can simply type it in and find it in seconds. If you tap the wrench on the top of the screen, you will be able to see the settings for Google Earth. Here, you can sign in to your Google account and get access to your “My Maps” section. You can also adjust whether that application automatically tilts and more. If you are looking for a way to explore the vastness of our Earth without ever leaving your home, look no further than Google Earth for iPad. It is a fantastic app that all iPad owners should have installed on their device. Even if you do not have a purpose for the app, it’s still fun just to fly around the world and see it in a way you just can’t in real life. I got this app yesterday as it happens, I was impressed by all the finger gestures you can use to rotate, move, zoom, and angle. I also like the button for it to zoom in to your location.